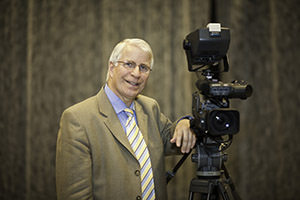 Watch our TV program on Gospel Channel Europe! We are now reaching 52 European countries via Gospel Channel Europe. Watch our TV program here. When Geir Thorsen from Søgne got the incurable sickness Bekhterev's disease, it caused great challenges in his working life and otherwise in daily life. At worst he could not do anything. 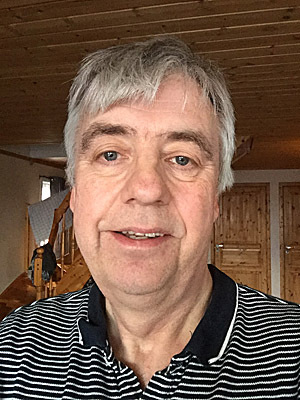 When Svein-Magne Pedersen prayed for the sick on a television program in 1996, Geir got to experience that nothing is impossible for God. 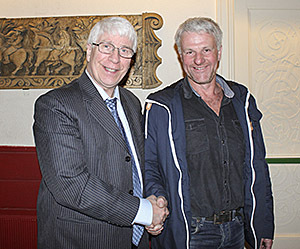 The sheep farmer Bjarne was healed of arthritis! 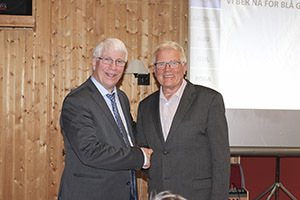 When Bjarne Klungtveit from Nedstrand got arthritis, it became very strenous to be a sheep farmer. After several years of ailments, he was on a 90 percent disability insurance. In 2004 the arthritis disappeared after prayer, and since then he has been running after the sheep on the Hardanger plateau pain-free. 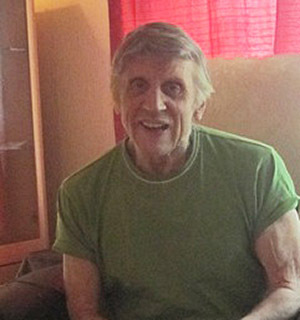 For almost 60 years Frank Robert Nilssen (62) suffered with migraine headaches. He had weekly pains and medicines did not help much. It affected his work-life and he was constantly on sick leave. In the summer of 2016 he phoned Svein-Magne Pedersen. In the time that followed Frank has been migraine-free. The tinnitus disappeared at Miracle Saturday! 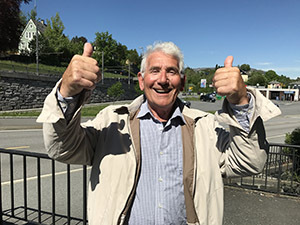 Harald Reinhardsen (78) from Flekkerøy had been bothered by tinnitus for many years, and everydaylife was therefore strenous and tiresome. In 2014, he visited Miracle Saturday in Vennesla and received prayer. Since then the grasshopper sound in the ears has been silent. 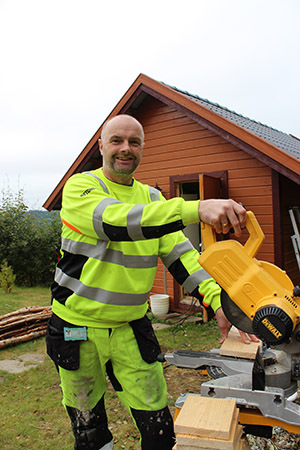 Carpenter Harald Jørgensen was healed in Levanger! 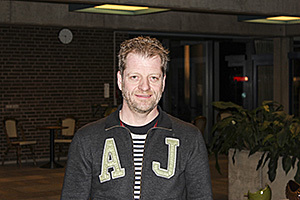 For several years Harald Jørgensen had pain in the shoulders and elbows. Life did not look blissful, and work as a carpenter was very challenging. 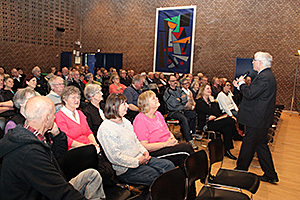 At a meeting in Levanger in 2014 he experienced a miracle. He also received a special greeting from Jesus. When Kjellaug Seim (80) from Lindås got cancer in both lungs, there was not much the doctors could do. The chemotherapy gave her only prolongation of life and the side effects she tolerated poorly. 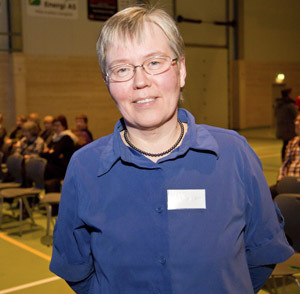 In 2010 she called Svein-Magne Pedersen and received prayer, and the cancer disappeared without a trace. 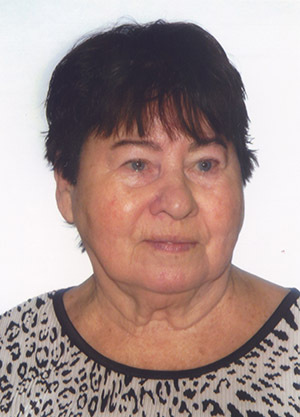 In 2014 Ruth Mikalsen (76) from Dyfjord was struck with considerable pain in the heart, and hastily she had to go to the hospital. The doctor thought it was clogged arteries and congestive heart failure. A short telephone prayer changed the situation. 67 years with asthma disappeared during corporate prayer! 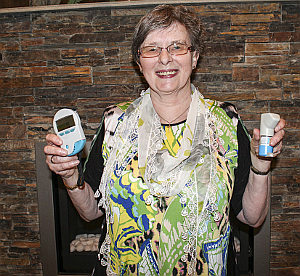 For 67 years Kristine Sabbasen (84) from the town of Tana lived with asthma. For many years she was on medication, but life was still difficult and tiring. 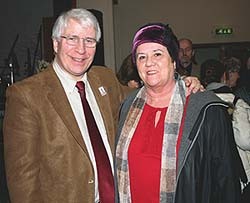 In 2003 she went to a meeting with evangelist Svein-Magne Pedersen, something she had never done before. There the asthma came to an end. -What in the world has happened here? 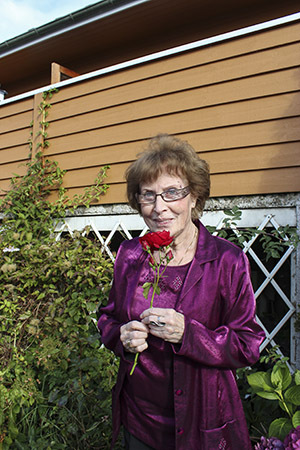 Well over three years ago Inga Berggren Olsson (81) from Blomstermåla in Sweden had atrial fibrillation. Often her pulse was 150 and life became very tiresome. 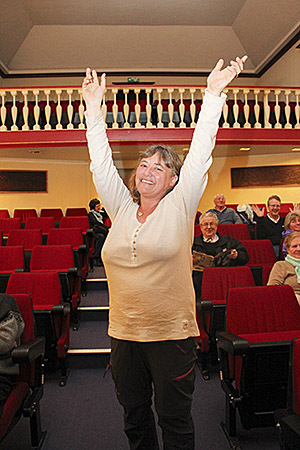 In January, she was healed after watching the television program "The Miracle is Yours." At the check-up the doctor was very shocked. 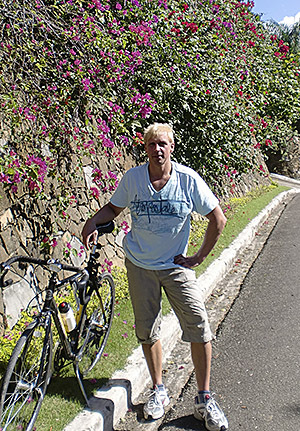 In 2000 Lars Welle (44) from the town of Sykkylven was the subject to a serious motorcycle accident. The right arm nearly became paralyzed, and he was on sick leave for many months. The doctors were very pessimistic about the future, but Lars never gave up and sought intercession as often as he could. 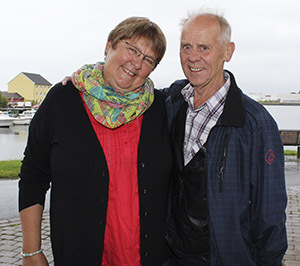 Throughout great parts of his life Lars Magne Meling (83) from Bremnes suffered with asthma. Everyday life consisted of several medications. 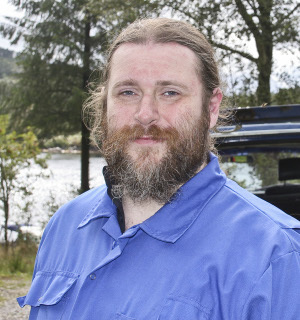 In 2014 he phoned Svein-Magne Pedersen and received prayer and was instantly healed. Dr. Shivani Dass, who works as a psychotherapist, is one of those who has traveled the farthest to get to the miracle Saturday. On Saturday August 29, 2015, she made the trip from Toronto in Canada to receive prayer. On the weekend 11.-12. April this year Svein-Magne Pedersen traveled to Stadlandet and the church Nordfjord Bibelsenter. God worked greatly in the meetings and when Pedersen returned home, there was a renewed church that was left. -A miracle has taken place here! 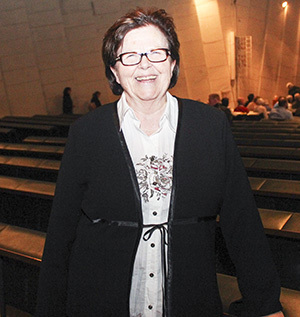 For seven years May Elin Storsletten (65) from Bardu had peripheral field deficit, and double vision. 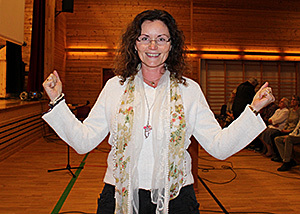 When Svein-Magne prayed for her at Ringvassøy in 1994, her vision became normal. -A miracle has taken place here, the doctor said. - Now I can smell flowers again! For over six years Else Pedersen (87) from Stavanger lived without the sense of taste and smell. A great joy in life disappeared. 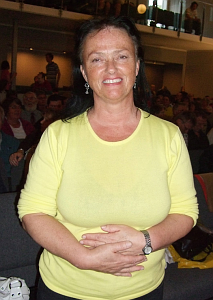 Last summer she called Svein Magne Pedersen and received prayer, and God healed her immediately. Bjorn Bredesen Urdahl from Gaupne in Luster had for ten years lived with Parkinson's disease and MS. Daily he used a wheelchair and crutches. 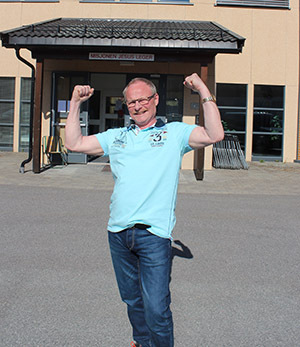 When Svein-Magne prayed for the sick during the TV program "The Miracle is Yours" on Vision Norway, he got new strength in his legs. Now he can walk without crutches and is playing the piano without so much trembling hands. - Now I can see unbelievably well! 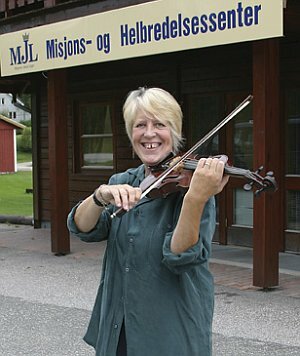 After a severe car accident in 2008, Mary Bast (58) from Asker, has been almost blind on her right eye. In addition, she had daily headaches. When she received prayer at the Miracle Saturday meeting, her vision was healed and the headaches disappeared. 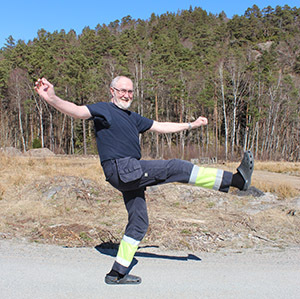 After 44 years with knee ailments and 25 years of back pain, Knut Nerhus Hatteberg from Rosendal was healed in Odda. Now he is in great shape and very grateful for what has taken place. 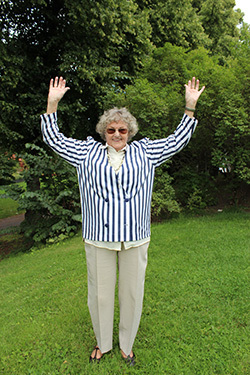 Berit Hagen was completely wiped out for half a year from a woodtick bite she was exposed to, and had constant pain in the hip where the infection had settled. 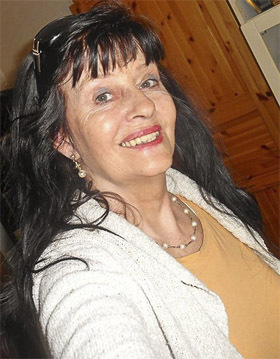 But when she received prayer from Svein-Magne Pedersen at the meeting in the town of Heddal on Sunday, February 24, 2013, the ailment disappeared. When Gerd Resves elderly mother got pancreatic cancer in 1990, her mother had a maximum of half a year left to live. After Pedersen prayed for her the cancer disappeared, and she lived another 13 years without sickness. 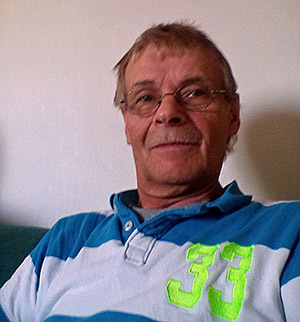 Herleiv Hansen (71) from Råde received both spiritual and physical healing during a healing meeting on June 14, 2014. Firstly he was saved, and then he was healed for two different ailments, which gave him his sleep at night back. When it comes to head injuries, even the best doctor in the field in Europe had given up on Birger Rystad (72), but Jesus healed him within a few seconds after receiving prayer. 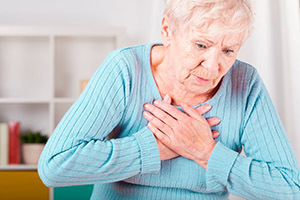 Angina and COPD also disappeared during the meeting in Finnsnes in 2008. Five months before the meetings in Skien the 6. -7. September 2014, Ann Karin Martila's back was destroyed badly. Everyday life was very painful, and she had difficulty walking. But then God brought out the operating knife. Read testimonies from peoples life! Read testimonies from peoples life. For several years Jorunn Roghell (86) from Korgen struggled with large warts on her hands. The warts were painful and the doctors had given her up. After a TV prayer by Svein-Magne Pedersen all the warts disappeared. 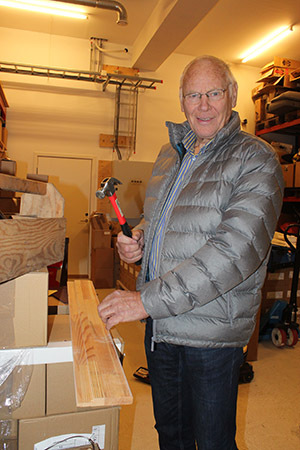 When audio manufacturer Kjell Birkeland (66) got tinnitus, his career was in jeopardy. The piercing beeping sound made life very difficult, but after Svein-Magne Pedersen prayed for him, the hearing became normal. Throughout the Bible we see a common thread: Disease is an enemy and not a friend. It was not commissioned by God, but a result of the fall of man in the Garden of Eden. Throughout the history of the Bible we read about the war against sickness. This war culminated with the coming of Jesus. His teachings about healing and the practice of this truth is the gold standard for us. 20 years of anxiety and depression disappeared in two minutes in the church's prayer room. A damaged muscle in the neck caused Klara Sand (82) from Valnesfjord to be unable to hold her head steady. After receiving prayer God gave the muscle new strength. God has become her "family doctor". The day when everything turned around! 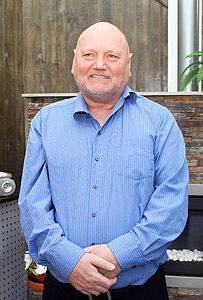 For 35 years, Gunnar Johnsen from Leirfjord had back pain. One day he could not get out of bed, and his wife called Svein-Magne Pedersen. Now Johnsen has been free of pain for 17 years. 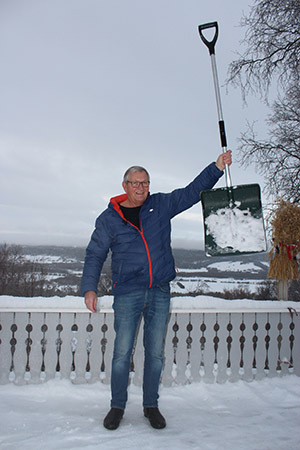 Thomas Hjellet (73) from the town of Heidal put the new book by Svein-Magne Pedersen, "Healing Power" across his chest before he fell asleep.When he woke up, the angina symptoms that he had had for almost 20 years were gone. After 50 years of smoking tobacco, Harry Andersens tobacco cravings disappeared. 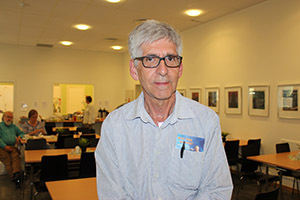 Harry Andersen is originally from Tromsø, but for the last 30 years he had been living in Torp, between the cities Sarpsborg and Fredrikstad. In his late teens he began smoking tobacco. 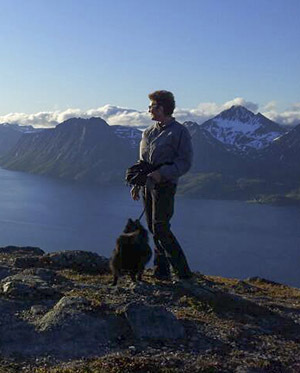 For 36 years Asbjørn Johannessen from Jessheim struggled with back pain and a slipped disc. Neither an operation, sick leave or quantities of painkillers were of help. In 2001 he made the trip to the miracle Saturday meeting, where Jesus brought an end to the pain. Monica Løkken from Vinstra had so much pain in her wrist that she was could not even lift a cup. After close to 15 years of tendonitis, the pain disappeared instantly in 2008. For two years, Remi Lande (35) from Ikornes was bound by the fear of death. 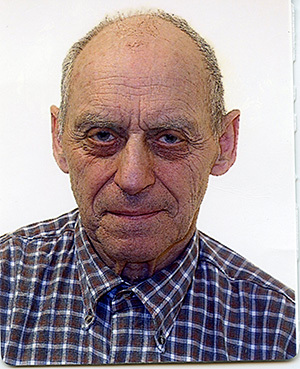 Psychologists and Medications became a big part of his life. But when Jesus was invited into his heart, He chased the anxiety out. 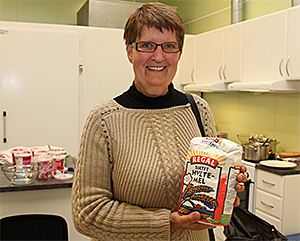 For seven years Signy Kaspersen Klepp was gluten intolerant, which sapped her of energy. At the Saturday miracle meeting she received prayer, and now she eats whatever she wants without getting sick. 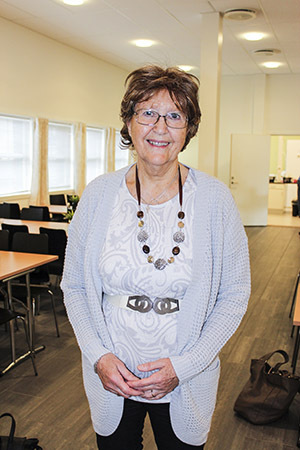 After two years of daily pain and fibromyalgia, the disease disappeared when Hildur Christensen (61) went to Vennesla and received prayer. 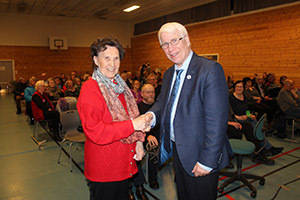 During the meeting in Ulsteinvik Ruth Kongshaug could for the first time take a deep breath after twenty years with asthma. In addition, she was very happy that her husband and daughter made a decision for Jesus. 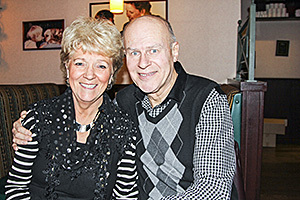 Håkon Vikhagen traveled over 1700 kilometers to Miracle Saturday meeting to receive prayer. Later in the evening he could walk out of the Miracle Centre in Vennesla with his crutches in his hand. Clara Winther had struggled with asthma and breathing problems for most of her life. Every week, she had to use asthma spray. 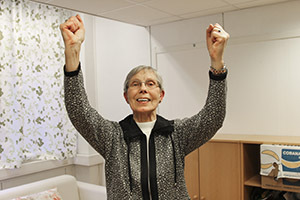 After receiving prayer by Svein-Magne Pedersen on February 9 this year, she can now breathe normally. 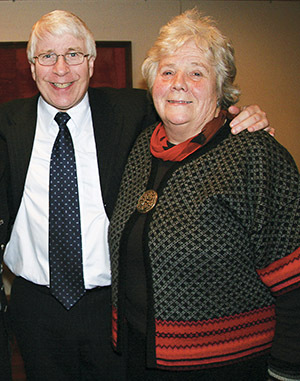 Arild Olsen had a stroke which resulted in him having trouble reading. He also had tinnitus. 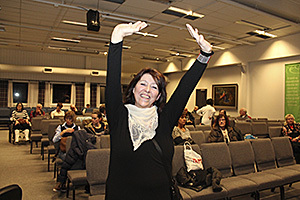 In Grovfjord the power of God came and the ailments disappeared instantly. For 19 dark years Tove Hege Engdal Studsrød struggled with depression and anxiety. 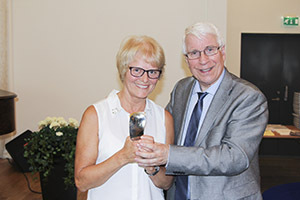 During a meeting in Sandnes in 2006, she received prayer from Svein-Magne Pedersen, and from that day she got her life back again. For many years Astrid Borgan from the town of Rørvik struggled with pain in her feet when she wore shoes. Her eyesight was also poor and no glasses could be of any help. 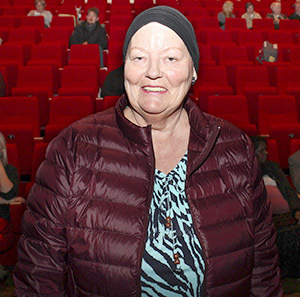 In October she made the trip to the miracle service in Bodø, a trip she has not regretted taking. More than 50 saved in Grovfjord, Norway! 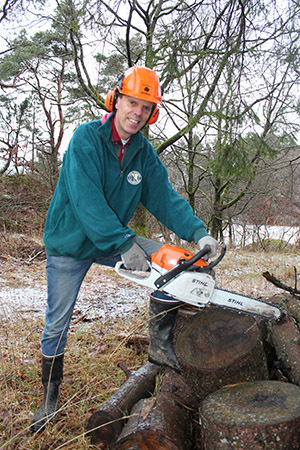 On the weekend of June 15.-16 Svein-Magne Pedersen visited Astafjord church in the small rural community of Grovfjord, Norway. It was close to a revival where over 50 people sought salvation. 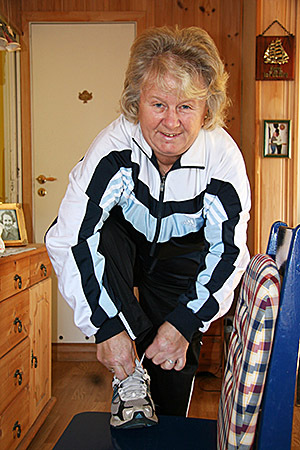 For four years, Mette Aanensen (73) was unable to bend her left arm. The doctors had given up on her, and daily life was problematic. When she watched the TV program The Miracle is Yours , the situation turned around. 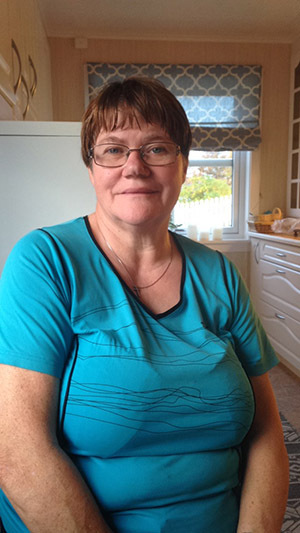 Ann Marit Furuholt (57) from Ballangen struggled with a blurry vision for six years due to macular edema. After receiving prayer from Svein-Magne Pedersen, the ailment disappeared. Her optician has confirmed this. Neurologist: - This is impossible! When one of Kirsten Frantzens neck arteries was 75 percent clogged, her only option was surgery. She therefore phoned Svein-Magne and received prayer. When she had her next check-up performed, the artery was fully open. 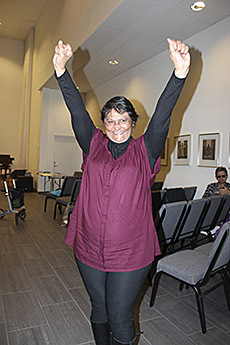 Kamla Masih came to the healing weekend in the city of Bodø in Norway with altogether eight ailments. After the meetings, she was rid of all diseases and now feel like a new person. 26 years of arthritis disappeared. 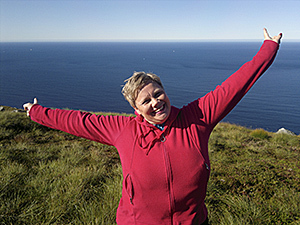 For 26 years Emilia Ryggetangen from Fiskum had struggled with great pains due to fibromyalgia and psoriatic arthritis. 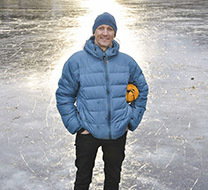 After a phone call to Svein Magne Pedersen in 2006, all these ailments disappeared. When Raymond Eriksen (25) was in his second year of high school, he lost almost 30 kg in weight due to anorexia and bulimia. But when his mother called Svein-Magne requesting prayer for Raymond, it was as if someone flicked on a switch. 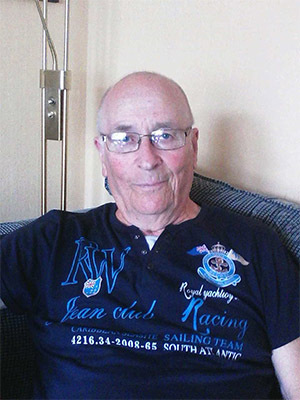 Ingvar had 22 allergies, asthma, bronchitis, COPD and angina. He was dependent on a breathing machine every morning, and he was on regularily transported to the emergency unit at the hospital, because of breathing difficulties. 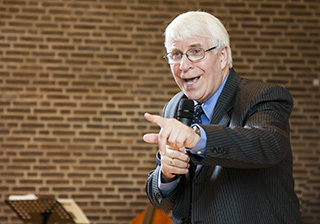 But God moved, when he sought intercession with Svein-Magne. The first healing Svein-Magne experienced when praying for someone, happened when he prayed for his wife's sister. Grethe Jacobsen was instantly healed of flat feet when she was 19 years old, and she still thanks God for the miracle, 40 years later. In 2002, the lives of Wenche Pedersen and her family turned upside down when they all were injured in a tragic car accident. 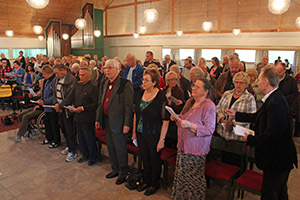 After having suffered nine years of whiplash symptoms, they experienced having the symptoms disappear momentarily during a meeting in Kasfjord Baptist Church, Sunday, September 11, 2011. 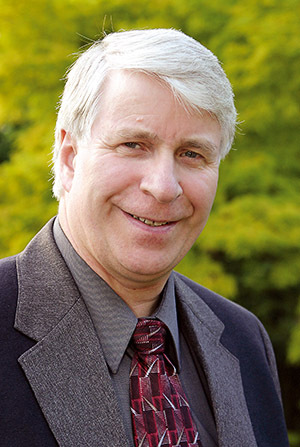 Jan Helge Jacobsen has great faith in the power of a prayercloth. Twenty years ago, the brother-in-law of his wife was healed by wearing a handkerchief that Svein-Magne had prayed over and anointed. In 1986 Anne Sylte crushed her ankle when she jumped from the second story of a burning house. After seven surgeries and 26 painful years she is now pain free and can go for long walks without problems. Ailin de Jager had for ten years suffered from a severe case of Chronic Fatigue. 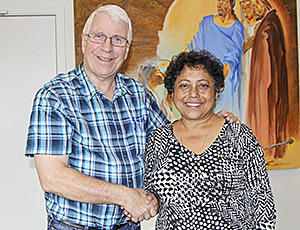 Her life was totally changes after having gone to Svein-Magne Pedersen to receive prayer. 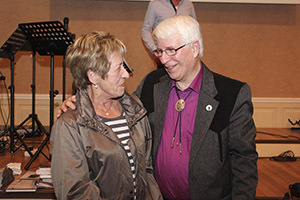 Erik and Torid Hugsten made the journey from Malaga in Spain to the small city of Steinkjer in Norway to receive prayer from Svein-Magne Pedersen. 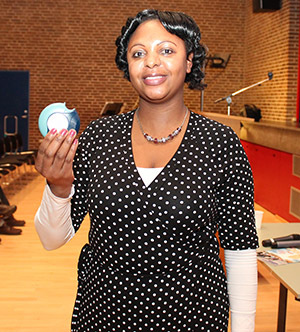 Torid was healed from gastric catarrh, reflux and arthritis pain in her neck. 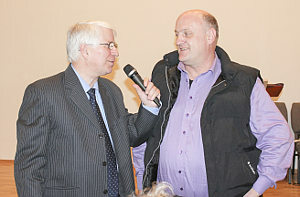 Erik was healed of nerve damage to his knee that had bothered him for twelve years. This summer Ronny tossed his cane on the bonfire at the midsummer celebration. It has been of great help in the last four years since he was blind so to speak. 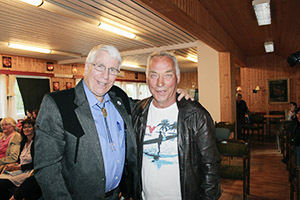 But when Svein-Magne Pedersen prayed for him, he got his sight back. 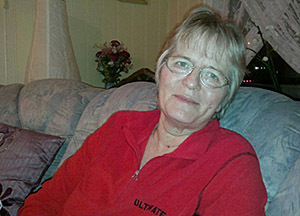 The diagnosis Kristine Kittelsen (65) had received was crushing! The sickness was COLD, a disease that would soon end her life, but she was miraculously healed after Svein-Magne prayed for her. Police officer Harald Ruud received prayer for his crooked and painful back while he was doing radar control outside the offices of Svein-Magne Pedersen. He was instantly healed. On January 23 this year Anne Marie Haddal had the shock of her life. The X-ray picture from the hospital in Mo i Rana, Norway showed a 2 cm wide tumour in her pancreas. The doctor informed her that it was more than likely cancer. 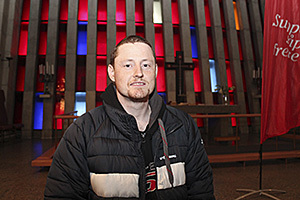 ”Can you pray for me?” A worn out drug addict asked Svein-Magne as he walked by. «I free you in the name of Jesus,» Svein-Magne said and patted him on the shoulder. Right outside the train station in Oslo the change began in Carl Fredrick Müller’s life. 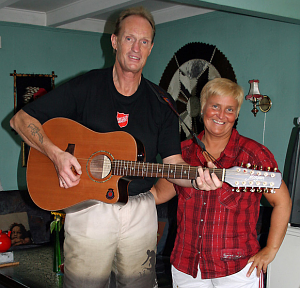 With a past as a criminal and drug addict, Carl Fredrik has regained his freedom. Today he is a soldier in The Salvation Army where he works at helping others who are addicted to drugs. For four years Cissilie Skogly (32) from the town of Leknes has been bothered by pain in her neck, shoulders and in the muscles of her arms. The doctors assumed that it could be fibromyalgia. The pains had prevented her from working as much as she wanted to. 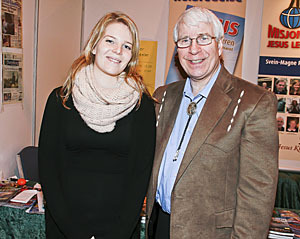 Siw-Nina Sjursen (22) From the city of Sandnes in Norway has struggled with a poor vision her whole life. This is a condition she was born with, and it made her school and work life very difficult for her. Four years ago her her mother Gerd Sjursen, phoned Svein-Magne who prayed for Siw-Nina's eye condition. Ever since Siw-Nina's vision has been good.